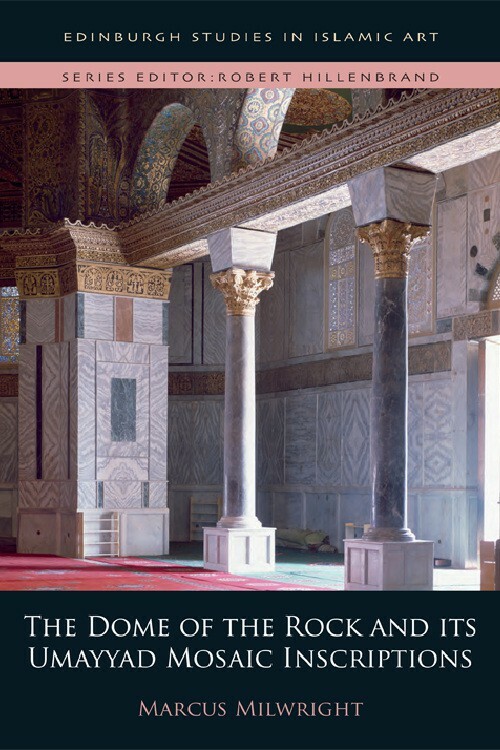 Patricia Crone’s Collected Studies in Three Volumes brings together a number of her published, unpublished, and revised writings on Near Eastern and Islamic history, arranged around three distinct but interconnected themes. Volume 1, The Qurʾānic Pagans and Related Matters, pursues the reconstruction of the religious environment in which Islam arose and develops an intertextual approach to studying the Qurʾānic religious milieu. Volume 2, The Iranian Reception of Islam: The Non-Traditionalist Strands, examines the reception of pre-Islamic legacies in Islam, above all that of the Iranians. Volume 3, Islam, the Ancient Near East and Varieties of Godlessness, places the rise of Islam in the context of the ancient Near East and investigates sceptical and subversive ideas in the Islamic world. 1. How did the Qurʾānic pagans make a living? Patricia Crone (1945-2015), Ph.D. (1974), School of Oriental and African Studies, was Professor Emerita at the Institute for Advanced Study, Princeton. Her numerous publications include Meccan Trade and the Rise of Islam (1987); Pre-Industrial Societies (1989); Medieval Islamic Political Thought (2004); and The Nativist Prophets of Early Islamic Iran (2012). Marcus Milwright is Professor of Art and Archaeology in the Department of Art History and Visual Studies at the University of Victoria, B.C., Canada. He is the author of The Fortress of the Raven: Karak in the Middle Islamic Period (2008) and An Introduction to Islamic Archaeology (2010). Qur’anic Studies Today brings together specialists in the field of Islamic studies to provide a range of essays that reflect the depth and breadth of scholarship on the Qur’an. Combining theoretical and methodological clarity with close readings of qur’anic texts, these contributions provide close analysis of specific passages, themes, and issues within the Qur’an, even as they attend to the disciplinary challenges within the field of qur’anic studies today. Chapters are arranged into three parts, treating specific figures appearing in the Qur’an, analysing particular suras, and finally reflecting on the Qur’an and its ‘others’. They explore the internal dimensions and interior chronology of the Qur’an as text, its possible conversations with biblical and non-biblical traditions in Late Antiquity, and its role as scripture in modern exegesis and recitation. Together, they are indispensable for students and scholars who seek an understanding of the Qur’an founded on the most recent scholarly achievements. Offering both a reflection of and a reflection on the discipline of qur’anic studies, the strong, scholarly examinations of the Qur’an in this volume provide a valuable contribution to Islamic and qur’anic studies. Michael A. Sells is Barrows Professor of the History and Literature of Islam and Professor of Comparative Literature at the University of Chicago. 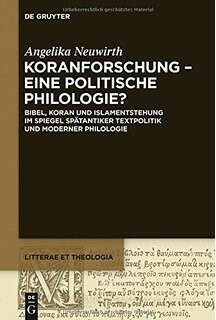 Angelika Neuwirth is Professor Emeritus of Arabic Studies at the Freie Universität in Berlin. Who are the Arabs? When did people begin calling themselves Arabs? And what was the Arabs’ role in the rise of Islam? Investigating these core questions about Arab identity and history through close interpretation of pre-Islamic evidence and the extensive Arabic literary corpus in tandem with theories of identity and ethnicity prompts new answers to the riddle of Arab origins and fundamental reinterpretations of early Islamic history. It is revealed that the time-honoured stereotypes depicting Arabs as ancient Arabian Bedouin are entirely misleading: the essence of Arab identity was in fact devised by Muslims during the first centuries of Islam. Arab identity emerged and evolved as groups imagined new notions of community to suit the radically changing circumstances of life in the early Caliphate. 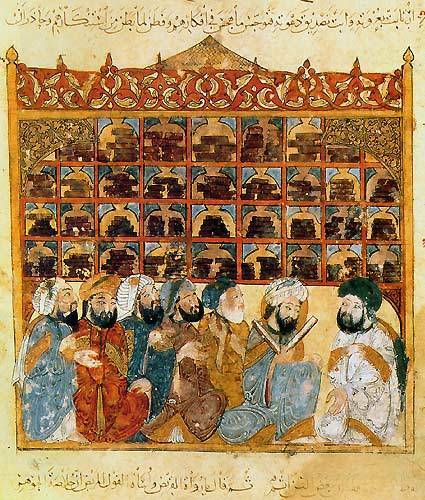 The idea of ‘the Arab’ was a device used by Muslims to articulate their communal identity, to negotiate post-Conquest power relations, and to explain the rise of Islam. Over Islam’s first four centuries, political elites, genealogists, poetry collectors, historians and grammarians all participated in a vibrant process of imagining and re-imagining Arab identity and history, and the sum of their works established a powerful tradition that influences Middle Eastern communities to the present day. I. The Arabic Language: a signpost to Arabness? I. ‘Arab’: an ethnonym resurrected? Peter Webb is an Arabist specialising in the literatures and cultures of classical Islam and has published a number of scholarly articles and book chapters on Arabic literature and Muslim narratives of pre-Islamic history. He is a British Academy Postdoctoral Fellow (2015-18) at SOAS, University of London, and prior to his academic career, he was a solicitor at Clifford Chance LLP. Qur’anic Studies, a Political Philology?